TWO Harare families were at loggerheads yesterday as they both wanted to bury their deceased relatives in one grave. 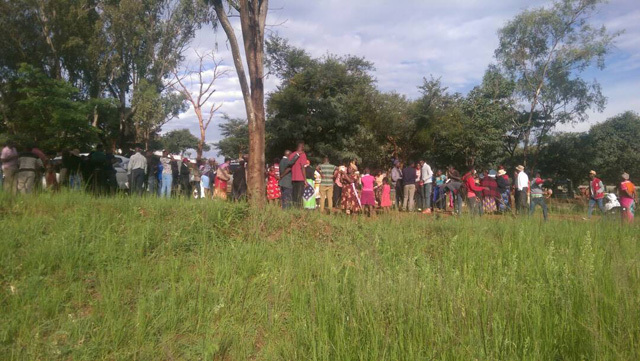 The incident occurred at Glen Forest Memorial Park when the Chapanduka family were muddled upon arrival at the graveyard for their 2PM service only to find the Chatsika family setting up to bury someone in the same grave. By 6pm yesterday the two families were still in disagreement as to which family was to use the grave. The Chatsikas insisted they had to use the grave since they had conducted their rituals while the Chapandukas argued in the lines of being the rightful owners. When enquiries were made it was established that the guards could have confused the surnames of the two families. “We got here to bury our mother to only to find another family doing their send-off ceremony. “It was raining at the time and we believe it was the guards’ fault as they were too lazy to confirm the placements and names. “The Chatsika’s were later shown their space but they discovered someone else had been buried on the double grave,” a Chapanduka family member told H-Metro. The families spent the rest of the afternoon in a stalemate which demanded the cemetery management to determine the issue. But by the time of going to Press, the management was failing to untangle the stalemate. A mourner who was there present said that the upmarket cemetery’s standards had diminished as they waited for the issue to be resolved. By the time of going to print the families feared for the worst of being sent back home and having to re-gather as they could not bury their loved ones after 5PM.